CORRECTION: In this post, I referred to Archbishop Peers as "the senior primate of the Anglican Communion" at the time of his retirement. I know that I had picked up that piece of information during an earlier exercise unrelated to my anti-Covenant activities. It turns out, however, that this is not correct. Archbishop Robert (Robin) Eames was installed as Primate of All Ireland exactly 62 days earlier than Archbishop Peers, and continued in office more than two years afterwards. This doesn't really affect any substantive point of my post, but the Michael Peers I know and love is a stickler for getting things right. My apologies to both Archbishops. One of the many annoying rhetorical fourishes of late has been the claim that opposition to the proposed Anglican Covenant constitutes a desire to "change" the Anglican Communion into a "loose-knit federation" of autonomous churches. Of course, this assumes an entirely revisionist view of Anglican history - actually, less revisionist than Orwellian. International Anglicanism has always been a relationship among autonomous churches. While there were occasional communications among the Church of England, the Scottish Episcopal Church and the Episcopal Church in the United States in the early days, the actual relationship was largely one of (mostly benign) neglect. The English church did assist the Scottish 'Piskies to re-establish episcopacy, and the two British churches both ordained bishops for the Americans. At the time, both the English and the Scots offered some guidance to the newly forming American church, but neither ever claimed authority. In each case, the Americans discerned for themselves what advice to take and what to leave aside. They did reinstate the Nicene Creed into the eucharistic rite, as suggested by the Church of England. They did not accept the English advice to accord more power to the House of Bishops than to the House of Deputies. Mutual recognition of ministry was a bit of a dodgy issue. The legislation which enabled the English to ordain bishops for the Americans expressly stated that those so ordained and those ordained by them would not be permitted to function in England. The ordination of the fourth American bishop by the CofE was partly driven by the fact that the English thought the Scottish episcopal pedigree of America's first bishop a bit dodgy. When he retired in 2004, Michael Peers (who confirmed and ordained me) was the senior primate of the Anglican Communion. Here is what he had to say in 2000, four years before this Covenant silliness ever raised its head. [W]orldwide Anglicanism is a communion, not a church. The Anglican Church of Canada is a church. The Church in the Province of the West Indies is a church. The Episcopal Church of Sudan is a church. The Anglican Communion is a 'koinonia' of churches. We have become that for many reasons, among which are the struggles of the sixteenth century and an intuition about the value of inculturation, rooted in the Incarnation, which has led us to locate final authority within local churches. We are not a papal church and we are not a confessional church. We are autonomous churches held together in a fellowship of common faith dating from the creeds and councils, recognizing the presidency of a primus inter pares (the Archbishop of Canterbury), often struggling with inter-church and intra-church tension, but accepting that as the price of the liberty and autonomy that we cherish. Malcolm, this is gold, pure gold. I think I never saw a better description of the Anglican Communion - what it was, what it is, and what it will not be if the daft Anglican Covenant is put in place. I really like this definition. I read it as drawing a similarity between our relationship with, for example, the ELCIC, and the Church of England. We are in full communion with both, and our ties with each are similar but determined by our various histories. Is this an accurate reading, in your opinion? Let the people say, "Amen!" 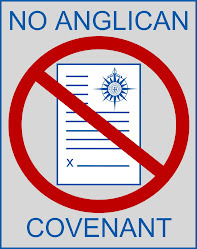 if we as Anglicans knew our own church history we would never have concocted the unpalatable covenant that pretends we are something we have never been! Thank you for quoting Michael Peers straight forward and truthful summation of Worldwide Anglicanism as "it is now and ever shall be, world without end". About 25 years ago Robert Runcie, then Archbishop of Canterbury, told Saskatchewan Anglicans, gathered in Regina that he believed North American Anglicans' mission was to lead the worldwide church as his Church of England was too weighed down with the burden of history and tradition. One might suspect there is some grave turning going on there! I think your reading is close too the mark, Parodie. I'd suggest that the difference between our relationship with the Evangelical Lutherans in canada and our relationships with the member churches of the Anglican Communion is that the former is deliberate and the latter organic. We have full communion with the Lutherans because we have met together and chosen to have full communion. We have full communion with the Church of England because she is our mother, even if we've moved into our own apartment. VenDi - if you are who I think you are, I've been hanging with folk who remember you fondly. Great words, and sad they need even to be said. It is a point of oddity that the Covenant and its supporters, who so vociferously champion the 39 Articles, miss the import of those articles when they define "church." Quick, send a copy to the Anglican Counterfactual Institute! On second thought, why bother? If they will not listen to Moses (i.e., the already extant definitions of the Communion as a "fellowship of autonomous churches") they will not heed a simple repetition of this history. I wonder, however, what the relationship was between the CoE and the African/Asian Anglican churches? Did the CoE keep much tighter control over them and for longer (just as the United Kingdom gave dominion status fairly early to Canada/NZ/Australia but kept Uganda/Kenya/Nigeria/India under more central control)? Do they expect the tighter control but now with a different group in charge? Michael was in error. The Anglican Church of Canada is no more a church than is the Anglican Communion. In the New Testament, the word 'ekklesia' is used in only two senses: (1) the one, holy, catholic and apostolic Church throughout the world, and (2) the local congregation. Whenever something in between these two senses is being described, the word is used in the plural, 'churches'. Michael, what do you mean by "not a confessional church"? While I learned early on not to speak for Michael, I rather suspect that "not a confessional church" means for him what it has always meant when describing Anglican theology and polity. At the Reformation, the various protestant sects wrote "Confessions" to define what they believed in distinction both from Rome and from the other protestant sects. Thus Lutherans have the Augsburg Confession, for example, and English Presbyterians the Westminster Confession. While the 39 Articles do have some of the Confessional about them, they never achieved the same place or foundational status in Anglican thinking. What shapes Anglican theology is not a series of statements about assorted past controversies, but the shape of our liturgy. That strikes me as entirely confessional - there is a clear standard of doctrine and worship being set out. Now, if members of such national churches want to reject those standards then they are, of course, entirely free to do so. But that's a far cry from stating that the church itself is not confessional. Well said, Malcolm! And thank you for dredging up Michael Peers' lucid comments. While I'm very flattered to have garnered the attention of the StandFirm crowd, I must point out that it is entirely possible to read anything one pleases into a document if one begins with an agenda, David. The Constitution clearly gives theological priority to the liturgy, with the Articles clearly taking a secondary or even tertiary place. There have always been those who have wanted to impose the Articles as a primary confessional document, just as there have always been those who wanted to establish a juridical and majesterial role for Lambeth. In more recent times, while still angling on the articles and still inflating the status of Lambeth resolutions (or at least one resolution - or rather, certain clauses on one resolution), this authoritarian cohort have invested most of their institutional energy into claiming a curial status for the Primates Meeting. 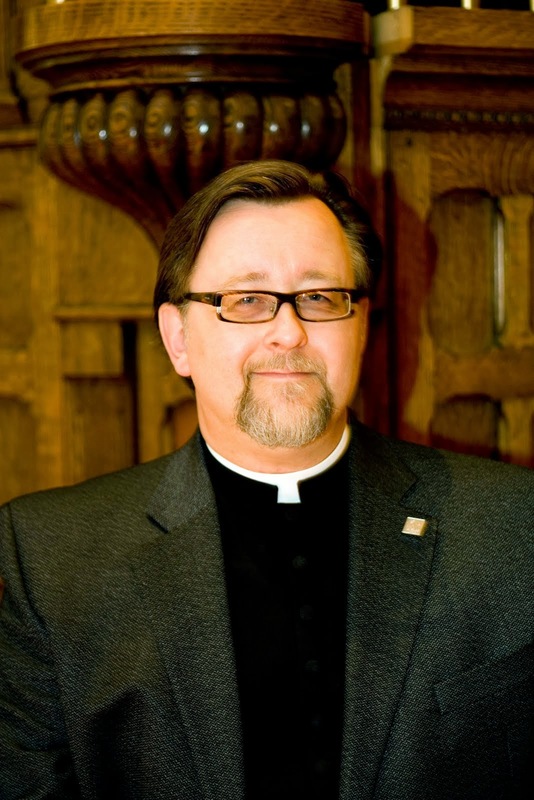 Michael was Primate of the the Anglican Church of Canada for 18 years. I'm prepared to accept that he may know a little bit about Canadian Anglicanism. I remain somewhat unconvinced. The Statement of Principles refers clearly to "doctrine ... received and set forward ..."
So while even a Primate may declare that the church is not confessional, he does so against the words of the Statement of Principles themselves. Surely even a Primate does not have the authority to overturn the Statement? That's a rather strange reading of the Solemn Declaration, Malcolm. No it doesn't. The Constitution quotes from the title page of the 1662 Book of Common Prayer of the Church of England. The order tells us nothing about the relative weight the 1893 General Synod attached to the various items in the list; it simply tells us that they could quote a title page accurately. But if you think order is important, note the words at the beginning of that paragraph, which were written by the framers of the Solemn Declaration: 'And we are determi ned by the help of God to hold and mai nta in the Doctri ne, Sacraments and Di sci pl ine of Chri st'.. Doctrine is first on that list. The Solemn Declaration also addresses the issue of your post. Of course, the term 'Anglican Communion' had not yet come into vogue in 1893, so the Declaration was unlikely to pontificate on the issue of whether or not the Anglican Communion is a Church. But what it does say is: 'We declare thi s Church to be, and desi re that i t shall cont inue, in full commun ion wi th the Church of England throughout the world...'. Note that what is now called 'The Anglican Communion' was then called 'The Church of England throughout the world'. 'Lex Orendi, Lex Credendi' has always seemed a dangerous rule to me. What it means in practice is that those who have the power to decide what gets prayed have the power to decide on the Church's doctrine, without ever having to face the rigour of a doctrinal debate. Finally, the fact that Michael was Primate of the ACC for 18 years doesn't mean he didn't have a point of view. All Primates do, and it is legitimate for those who disagree with them to argue with them. After all, George Carey was Archbishop of Canterbury for 11 years, and I'm fairly sure that doesn't mean that you would accept his version of Anglicanism as gospel truth. I don't think I've ever dismissed the importance of doctrine. What I've questioned is the suggestion that the quasi-confessional document called the 39 Articles has a priority in determining doctrine. In that respect, I don't think the Articles are comparable to the status of the Augsburg Confessiona for Lutherand or the Westminster Confession for English Presbyterians. If the mere existence of confessional or quasi-confessional documents makes a church confessional, then the term is pointless since every church - including Rome and Orthodoxy - can point to some document or set of documents that set forth positions on doctrinal points. Certainly the decrees of General Councils (especially Trent) could be considered confessional in that broader sense. WRT "the Church of England throughout the world," I agree with you, Tim, about what they mean. It is always a hazard to describe something that has no agreed label since such descriptions are always likely to be problematical. Indeed, this descriptor is essentially accurate for the vast majority of what would subsequently be called "the Anglican Communion" a mere 50 or so years later. But it clearly does not literally include either the Episcopal Church in Scotland or the Episcopal Church in the US (and assorted other places), although I expect that the framers would have intended to include them as well. The framers of 1893 intended (as the Americans had intended a century or so earlier) to establish a church which was in continuity and relationship and "full communion" with the church of their spritual patrimony. The question that arises is, what does this mean about the excise of authority. If it meant continued juridical submission to the Church of England, then what was the point of 1893 at all? Ecclesiastically as politically, the Canadian experience differs from the American in that our separation and independence was accomplished by evolution rather than revolution, and over time, virtually every overseas province of the Church of England became self-governing and (to borrow a term) autocephalous. Finally, I agree that every primate, every bishop, every priest, every deacon and every lay person comes at the questions with a point of view. And I'm all in favour of argument. (Not sure what my blog would be for otherwise.) My previous comment about Michael had been dialed back more than a bit. 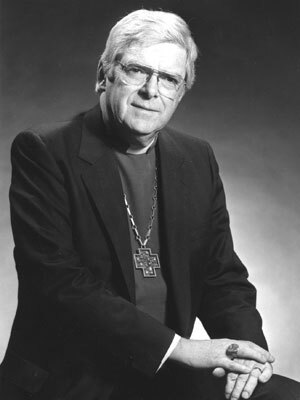 Canon Perry has frequently commented on the manner in which Michael handled his primatial role, and specifically how Michael did not try to direct debate from the bully pulpit of the chair. If he chose to enter the lists of the discussion, he would turn over the chair - and even that he did seldom. In this, he stands in significant contrast to so many of the current batch of primates, including the primus inter pares. (1) Malcolm, I really appreciate this post and your subsequent comments. (2) I think that anyone who wants to regard the 39 Articles as having binding confessional status should be allowed to do so, under the condition that they can demonstrate that they have actually READ all 39 Articles. You'll be welcome whenever you return. We'll leave the porch light on. In TEC we don't have a confession, we have a historical document. And our version (eek! You mean the Americans have their own version?! Just what I suspected!) actually only has 38 Articles: We threw out Article 21 ("Doesn't apply to us"), we fudged on Article 35, and we substantially revised Articles 36 and 37. I once gained some notoriety among my Anglo-Catholic colleagues by preaching a sermon in which I defended Article 28. TC says, "'Lex Orandi, Lex Credendi' has always seemed a dangerous rule to me. What it means in practice is that those who have the power to decide what gets prayed have the power to decide on the Church's doctrine, without ever having to face the rigour of a doctrinal debate." As in, Archbishop Cranmer and King Edward VI. Oh well. After we finished hosing down the floor, it seems to have turned out all right. It certainly didn't hamper vigorous doctrinal debate, though, did it?